NOTE: MD added the teaser photo (previously published by EBR) which is not a part of the following press release. 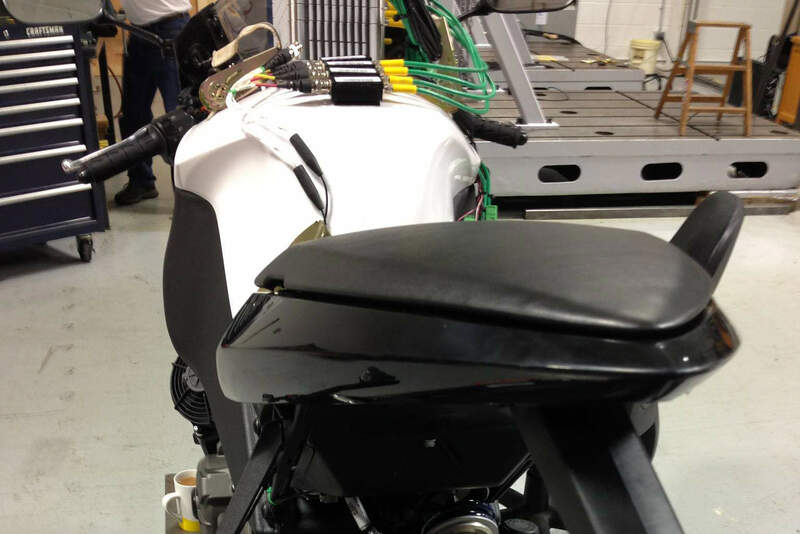 EAST TROY, Wis. – Erik Buell Racing (EBR) announced today that a new sportbike will be unveiled October 16 at the American International Motorcycle Exposition (AIMExpo) in Orlando, Fla. The unveiling of the EBR 1190RX will take place in EBR’s booth number 1157 at the AIMExpo at 12:00 noon on October 16. Media representatives and motorcycle dealers are encouraged to attend, as a number of developments from the EBR team will be announced at that time. In other words, don’t expect competitive prices. That’s OK if the bikes become competitive later on. Seriously, this great. I will not be buying a Buell sport bike but if enough people do I’ll be hoping for a new XB12XT with a detuned 1190 motor.